Growing up in Rhode Island, we had a few wild raspberry bushes out by the pool in the side yard. My brother and I kept close tabs on the berries as they morphed from a yellowish-green hue to fat and juicy, ripe and pink. The bushes didn’t produce many raspberries, not enough for a pie or cobbler, so we pretty much inhaled them as they ripened. Such easy contentment and satisfaction enjoying warm, sweet raspberries in the sun. This recipe for Raspberry Limeade uses frozen raspberries. Frozen are so much cheaper than fresh and you can barely tell a taste difference in a drink like this. I used the fresh berries for garnish only. This patio drink is one the whole family can enjoy. Make it extra special with easily assembled fruit skewers! A pretty sip for spring baby or bridal showers. Raspberry Limeade is so festive! Mash the raspberries and stir in 1/4 cup sugar. Let macerate for ten to 15 minutes. (What a pretty color!) Strain sugar/raspberry mixture, pushing through sieve with a spoon. Discard seeds. 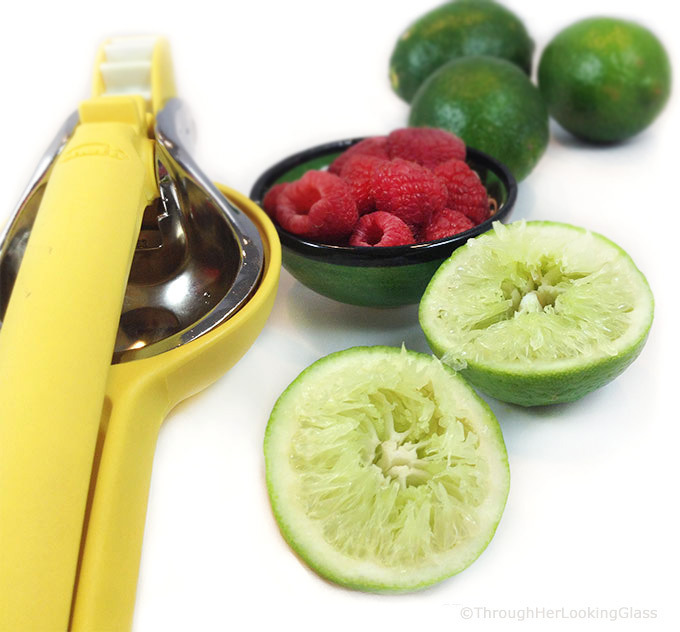 Squeeze fresh limes! If you’re in a hurry, bottled lime juice will do, though fresh is better. Mix together remaining sugar and lime juice in 2 quart pitcher ’til sugar is dissolved. Add raspberry juice and enough water to fill the pitcher. 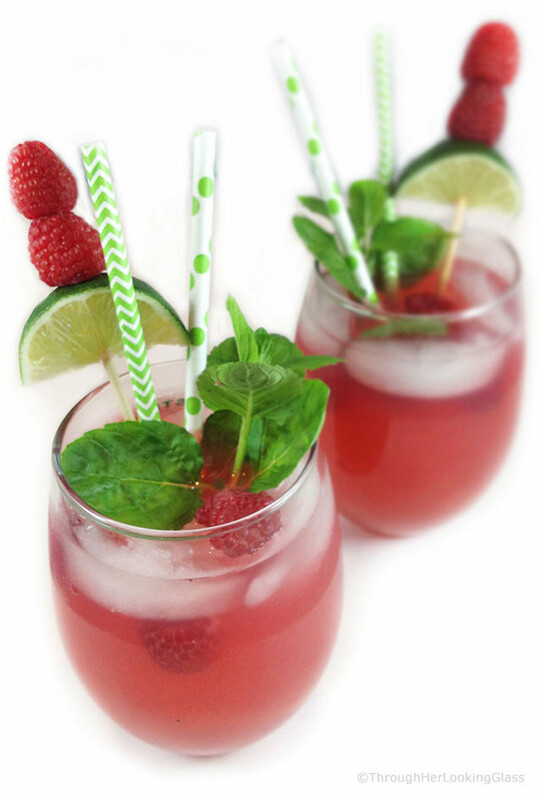 Float raspberries, mint, and lime slices or garnish with fruit skewers and paper straws. Relax and enjoy every refreshing sip! 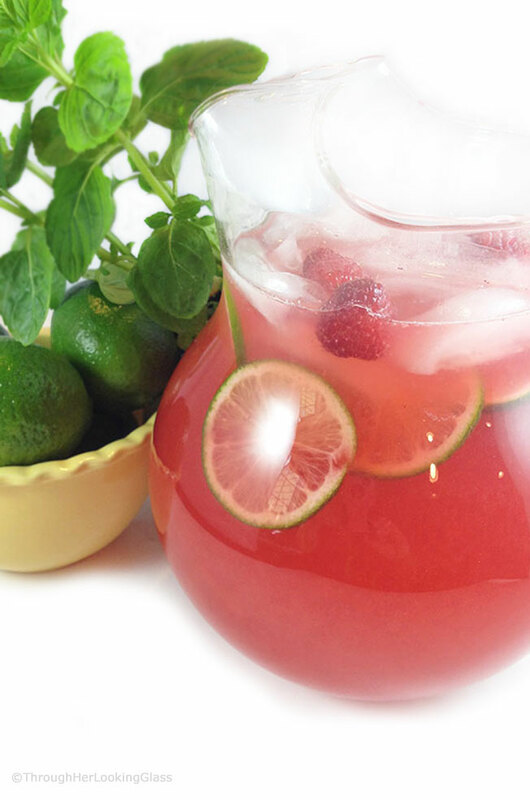 Raspberry Limeade: the perfect fun, summery drink. Cool and refreshing. Sweet and tart. Pink! In mixing bowl, mash 2 cups of fresh or frozen raspberries. Allow to macerate for 10-15 minutes. Separately, place 1 cup lime juice in a 2 quart pitcher. Stir in 1 cup sugar "til dissolved. 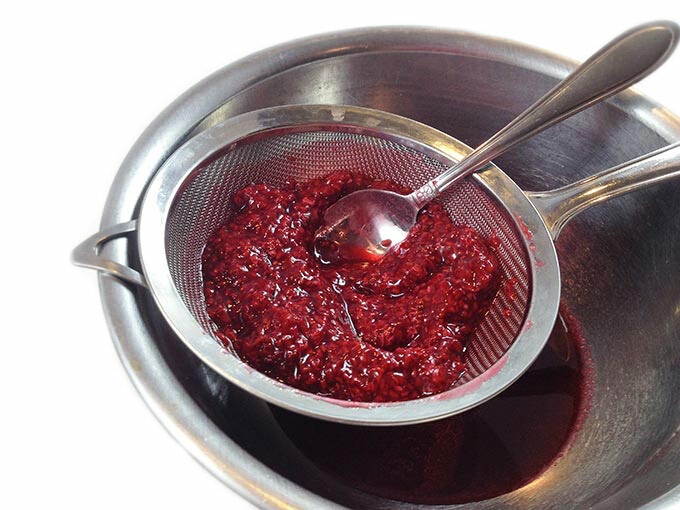 Strain raspberries through strainer, saving juice only. Add raspberry juice to pitcher and fill remainder with water. Serve with fresh raspberries, lime slices and mint sprigs. Stack fresh fruit on wooden skewers. Float raspberries, lime slices and mint sprigs. So cute! Need this for my daughter's princess party! Allie, this sounds perfect for spending lazy and soothing days with family at Merrymeeting Lake in Alton. I'll be spending some time there with my sister and brother-in-law in July. We will toast you as we enjoy this refreshing drink. Love your recipes. This will be absolutely perfect for by the pool this summer! Can't wait to try it! This looks fabulous! So refreshing on a hot day. I know they are coming soon. I'm anxious too!!! I can't wait to try this. Looks so good-thanks for the recipe! Allie, this drink looks so amazing - I could totally go for this on a lazy, warm afternoon! Not just pretty to look at but sounds absolutely splendid. I can't wait to try this!! This sounds perfectly refreshing! Perfect for long summer days! It looks great for a party but wouldn't hubby love it if I made it for him some nice hot summer day! This looks so refreshing. We planted some raspberry plants about a week ago. Yesterday my hubby left the gate from the upper pasture to the garden open. One of our goats started chomping on one of the raspberry plants! Thankfully there is still something left of the plant.....hopefully enough to continue to grow. I'm pinning for future raspberry usage. Love your garnish on these - so festive! This recipe makes me want to go raspberry picking and sit out in the sunshine with a big glass full! its going to be 100F here tomorrow. This will be needed! Love the combo! 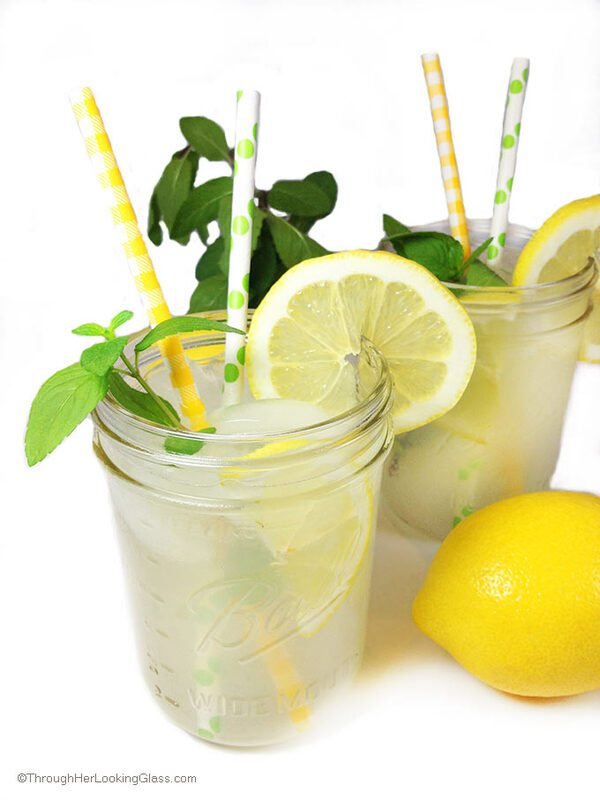 Looks sooo .pretty and refreshing! This is so pretty and it looks absolutely delicious. I SERIOUSLY cannot wait for summer and I'm adding this to my must-make list! Have a great weekend, Allie! LIME over LEMON any day of the week! I could use a few glasses of this RIGHT NOW as it's 90 degrees in LA today! Yikes! Oh this looks sooooooo refreshing. It's so late right now, I am so thirsty looking at this. Very pretty too! I can certainly remember being ready for summer warmth and all that goes with it at this time of the year when we lived in New Hampshire. It meant heading to Maine and sitting on our dock with a nice refreshing drink like this one. These are so dainty and the color is gorgeous! I'm a sucker for limeade, and I'm excited to try it with a raspberry twist! Luci’s Morsels | fashion. food. frivolity. How many does this serve? Looks delish! Thanks Av, this recipe makes 8, 8 oz. servings. Hope you enjoy!